A LONG TIME AGO IN A GALAXY FAR, FAR AWAY! A small courageous group of Rebels are fighting to restore freedom in the galaxy. 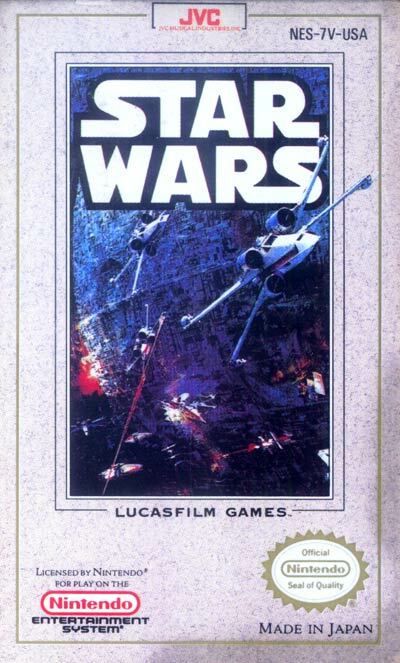 Be Luke Skywalker, striking your first deadly blow against the Evil Empire. Or Han Solo, veteran space pilot, sometime smuggler, and unlikely hero. Or brave Princess Lei, who risked her life to steal the secret plans for the Death Star. Enlist the aid of Obi-Wan Ken obi, and the druids c-3po and r2-d2. Explore all the incredible worlds of Star Wars...from the Tattooing desert, to Macs Easley Cantina, to the treacherous trenches at the very heart of the Death Star. Only you can destroy the Death Star and save the Rebel Alliance. MAY THE FORCE BE WITH YOU!